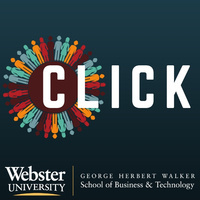 Walker EDGE brings back CLICK: Creating Links In Community Knowledge. Join us for drinks and appetizers in the Edward Jones Commons while networking with area nonprofit organization junior boards and young friend groups. Come learn about the organization and meet professionals who are passionate about making the world a better place. Find volunteer and leadership opportunities as a way to give back to your community and build up your resume. Gain insights on the impact of community collaboration from a keynote speaker. For questions please contact the Walker EDGE office at 314-246-8221 or email walkeredge@webster.edu. Co-sponsored by Walker EDGE at the Walker School of Business and Technology, the International Institute of St. Louis Young Friends, and and the Webster University Young Alumni Chapter.